The other week at my school, Grade 5s and 6s participated in hypothetical democracy: student “elections”. I put that in quotes because they don’t actually get to elect anyone – there is no student council or anything – but they get to hear speeches and platforms and read campaign signs, and then vote. One of the best things about this (in my sentimental opinion) is that the kids who run get to pick their own pretend names. That was one of my favourite things to do as a kid – my sisters and my best friend and I would have elaborate role-playing games that lasted over several days and often involved long sessions of drama-filled dialogue with imaginary people – and our characters (usually “college girls”) always had to have awesome names. My friend N usually picked Tracey, because of the actress who played Carol Seaver on Growing Pains. I had a variety of alter egos; I know Samantha was one, and I used Cassandra a lot. In my mind, someone named Cassandra would have to be sophisticated and super-pretty. All the guys would like her. 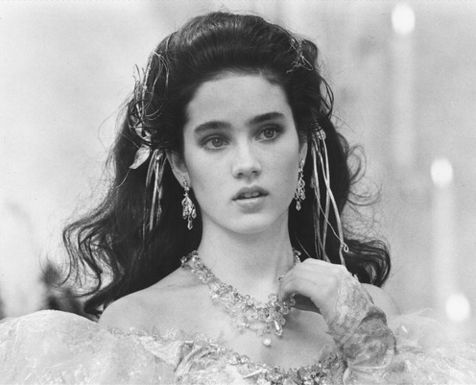 She might even be as beautiful as this (Jennifer Connelly in Labyrinth). Anyway, I digress. With some aliases the kids pick, you can tell they’re using names they think are cool – but sometimes they’re just being funny (I think Alice McPickle falls into that category). The other thing that’s fun is the campaign promises. The candidates promise things they think other kids will vote for, to make our school “better”. After the speeches, the populace gets to ask questions, and they invariably ask, “How will you pay for those things?”, so the politicians have to be able to (loosely) explain their budget strategy. More balls for play outside. HOW CUTE is that list, I say to myself. Then I realize that, as adults, we basically want the same things. Grass on the hill = green spaces, environmental protection, infrastructure. Cookies on pizza days = extra perks – let’s say… tax breaks. More books for reading = investment in education, obviously. More balls for play outside & pillows for your chairs = better working conditions, right? And where do we get the money? From our communal pockets, of course. (Well, in this case, it’s mostly their parents’ pockets.) It’s a finite system; the money has to come from somewhere. At school fairs, of course, spending money is optional – but neatly enough, people end up spending what they can afford. People who have more spend more, and thus contribute more. Seems simple enough, no? Don’t worry, I’m not getting on my soap box today about tax-whiners, or the things our current federal government in Canada spends our “fundraising” money on (such as giving, uh, cookies to the companies that make cookies, for example)… I’m just wondering: could all our complaints be resolved if there were more baked goods for everyone? ← What a cool planet. In at least one school in our area, grades 5 and 6 had an “election” the day before the Ontario election, but it was to vote for the actual candidates that were running in the provincial election! They had to find out who was running in their riding, what they were promising, what their parties stood for, etc., etc., They loved it! They also “elected” the same person the real voters in their riding actually elected. Either of these approaches – your school’s or this one I’m describing – is so great! If lots of schools did this we could grow an electorate that actually went to the polls! The kids in this school were so excited about the whole thing and could hardly wait till they were old enough to vote “for real”. Congratulations! Victory School is raising citizens! Our school also participated in Student Vote (studentvote.ca) and my students loved the opportunity to become returning officers and poll clerks as we ran the parallel election for the other junior classes in our school. I like how your school did it too – I’d definitely do it that way if I had to teach about government in a non-election year. I can only imagine what my kids would be campaigning for! I like this snippet. I LOVE that picture of Sarah from Labyrinth. … It reminds me of a school snippet of my own. I remember talking about her to Roof, in the school washroom, when we were maybe in grade 6. I reeeally, really wished I looked just like Sarah in that dream sequence where she’s a princess. R surprised me by saying, “You wouldn’t want to look like that! Because then you wouldn’t look like you!” Which hadn’t even been something worth considering, from my point of view. Looking like that girl/princess was my top priority – personal appearance wise. I was flattered by the idea that someone thought looking like me might actually be better. Huh! Life’s little lessons, coming to me straight-up from a fellow eleven-year-old: you need to be yourself. No matter how many times a teacher or librarian told us that same thing, it meant more coming from a peer. 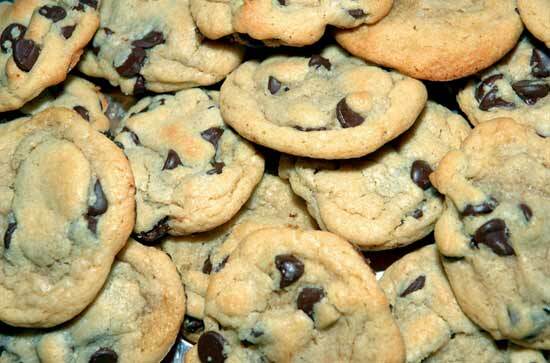 … But please stop posting cookie pictures. Wow, kudos to Roof! That’s an amazing, wonderful thing for a Grade 6 to say.